Without question, Far Cry 5 is one video game many are looking forward to. After all, this is the latest instalment in a first-person shooter series that has proven to be quite popular over the years, and games like the phenomenal Far Cry 3 have been played and loved by action game fans worldwide. So, it makes sense that many are anxious to play the upcoming Far Cry 5, a game that will boast several gameplay innovations, more dynamic storytelling and a world that feels more alive than that of earlier games in the franchise. 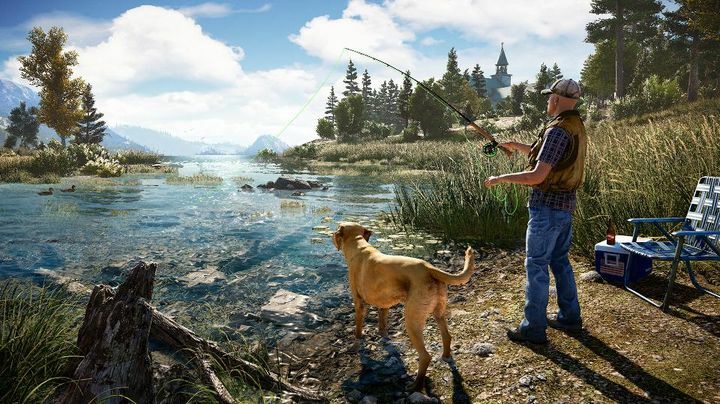 But perhaps the most interesting thing about Far Cry 5 is its setting, as Ubisoft’s latest video game takes place in modern day Montana, a western setting that’s surely a novelty for a series which has taken us to far-flung locations such as the Pacific islands of Far Cry 3 or the Himalayan country of Kyrat seen in Far Cry 4. 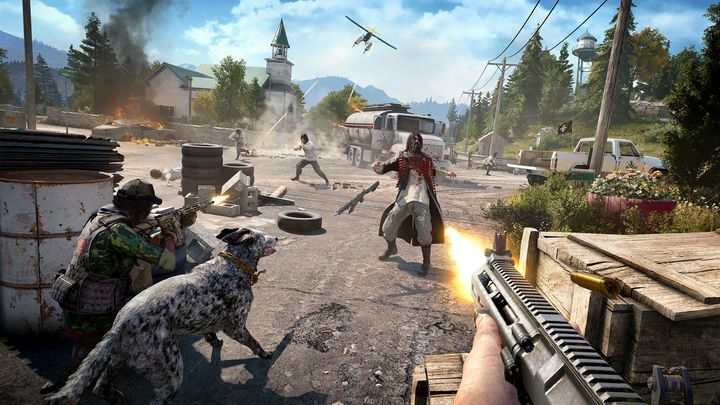 And in an interview with GameSpot, game director Dan Hay explained Ubisoft’s reasons for setting the game in the US state of Montana, instead of the exotic locations the series has become famous for over the years. “I think that the idea in the back of our heads, all the way back to as far back as Far Cry 3, was to explore the idea that you don’t have to go far to see something strange. You don’t have to go far and yet people tend to overlook the things that are in their own backyard”, said Hay. Far Cry 5’s game director also spoke about how his team came up with a charismatic villain to rival the likes of Vaas from Far Cry 3 or dictator Pagan Min from Far Cry 4, and how Far Cry 5’s villain (a cult leader named Joseph Steed) has a strong connection with the game’s setting. “You know, going to the States, putting it at the Frontier, putting it out in the West, and so, we kind of were kicking around different ideas and one of the things that really resonated was this character that is deeply spiritual and believes that the end of times is coming”, said Far Cry 5’s game director. Regardless of setting, though, Far Cry 5 wouldn’t succeed if it lacked that unique Far Cry feel, so despite the game’s more familiar western setting Dan Hay also explained how Ubisoft’s developers built a fictional location in which the game’s action takes place, a game world that’s their own unique creation. “We put it in Montana but we wanted to make it a place you couldn’t find on the map. We wanted to make sure that we built Hope County, we built our story, we built our characters, and they may be inspired by certain things that we may have seen but the truth is that it’s our space. It’s our game and it’s our world”, said Hay. Of course, what’s important to Far Cry fans is whether this latest entry in the series will be as fun to play as the earlier games, and whether its new western setting will evoke the same sense of wonder that locations like Far Cry 4’s Kyrat or Far Cry 3’s Rook Islands did. It remains to be seen then, if Far Cry 5 will be a success like its predecessors or not, but since the game is slated to ship early next year there’s not much longer to wait in order to find out if this latest instalment in the series will live up to the hype and hopefully turn out to be one of 2018’s top action games. Note: Far Cry 5 will be released on February 27, 2017. Available on PS4, Xbox One and PC.